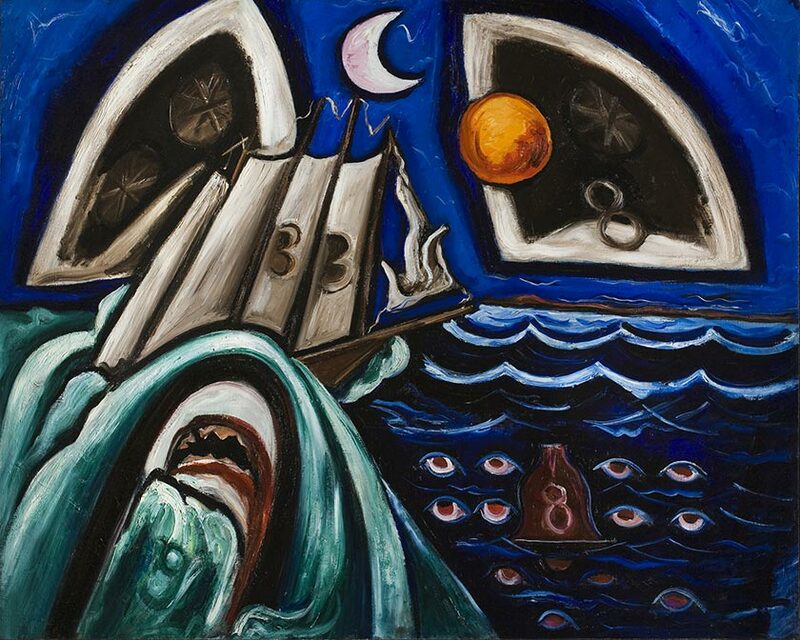 Marsden Hartley, “Eight Bells Folly: Memorial to Hart Crane, 1933. Oil on canvas, 30 5/8 X 39 3/8 inches. Collection of Frederick R. Weisman Art Museum at the University of Minnesota, Minneapolis. Gift of lone and Hudson D. Walker. 1961.4. Hailed by The New York Times as an “historic event,” HIDE/SEEK: Difference and Desire in American Portraiture will make its final stop at Tacoma Art Museum from March 17 to June 10, 2012, which marks the exhibition’s only West Coast destination. This compelling exhibition, which offers an unprecedented survey of nearly 150 years of American art, debuted at the Smithsonian Institution’s National Portrait Gallery last year. HIDE/SEEK was originally organized by the Smithsonian’s National Portrait Gallery, and has been reorganized by Tacoma Art Museum and the Brooklyn Museum. Along with the repeal of “Don’t Ask, Don’t Tell,” Washington State’s landmark gay marriage legislation, and the ongoing gay marriage debate in this Presidential election season, HIDE/SEEK, which looks back on the ways sexual identity has been identified and signaled throughout the decades, is more pertinent than ever. Both the National Portrait Gallery and Brooklyn Museum have seen a significant increase in visitors due to the caliber of the artwork and the significance of the exhibition’s topic. It has received wide acclaim by local and national art critics and cultural media. HIDE/SEEK traces the evolution of sexual identity through a diverse range of artworks including paintings, sculptures, watercolors, prints, photography and video. Works range from the late 1890s by Thomas Eakins and John Singer Sargent to early modern era pieces by Georgia O’Keeffe, Marsden Hartley, Romaine Brooks, and George Wesley Bellows; Jasper Johns, Robert Rauschenberg, and Andy Warhol represent the postwar period. The exhibition continues with works influenced by the Stonewall Riots of 1969 and the AIDS epidemic by artists such as Keith Haring, Glenn Ligon, Nan Goldin, Felix Gonzalez-Torres, Cass Bird, and David Wojnarowicz’s unfinished film, A Fire in My Belly. The original presentation of HIDE/SEEK was co-curated by David C. Ward, National Portrait Gallery historian, and Dr. Jonathan D. Katz, director of the doctoral program in visual studies, State University of New York at Buffalo. At Tacoma Art Museum, the exhibition has been coordinated by Rock Hushka, Director of Curatorial Administration of Curator of Contemporary and Northwest Art.